One of the best, if not the best, educational resources for Traumatic Brain Injury (TBI), including mild brain injury (i.e., concussions), can be found on the Center for Disease Control (CDC) website. 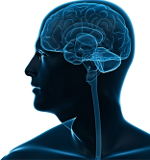 The site offers a credible, reliable and accessible resource for anyone seeking basic information about TBI or wants to keep up to date on current research and findings. Based on the most current brain injury research, these articles and publications are easy to understand and have particular credibility since they are issued by a respected US Government agency. In addition, the site offers other substantial information about TBI including many common misunderstandings, especially where TBI is categorized as “mild.” Did you know that new developments could demonstrate that “mild” TBI can have very serious lifelong consequences? If not, then head on over to the CDC website, or subscribe to our blog for our interpretation of the latest developments—subscribe by email or RSS feed over on the right sidebar of this post. (1) “In recent years, public health and health care communities have become increasingly aware that the consequences of mild traumatic brain injury (MTBI) may not, in fact, be mild. Epidemiologic research has identified MTBI as a public health problem of large magnitude, while clinical research has provided evidence that these injuries can cause serious, lasting problems. (9) “Sometimes people do not recognize or admit that they are having problems. Others may not understand why they are having problems and what their problems really are, which can make them nervous and upset.” Read more about how to recognize the signs and symptoms of a concussion.